GLS3D is an implementation of OpenGL for Stage3D that can run inside Flash Player 11+. Behind the scenes all of the OpenGL APIs are implemented ontop of GPU accelerated Stage3D rendering API. 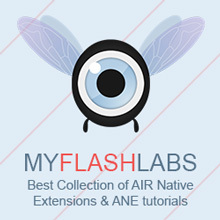 This implementation is intended to be used by existing C/C++ code compiled with flascc to target the Flash Player.